My love of cooking has been quite restricted since having Joshua. Time is no longer abundant. So I started collecting recipes that take less than 15 minutes to put together. 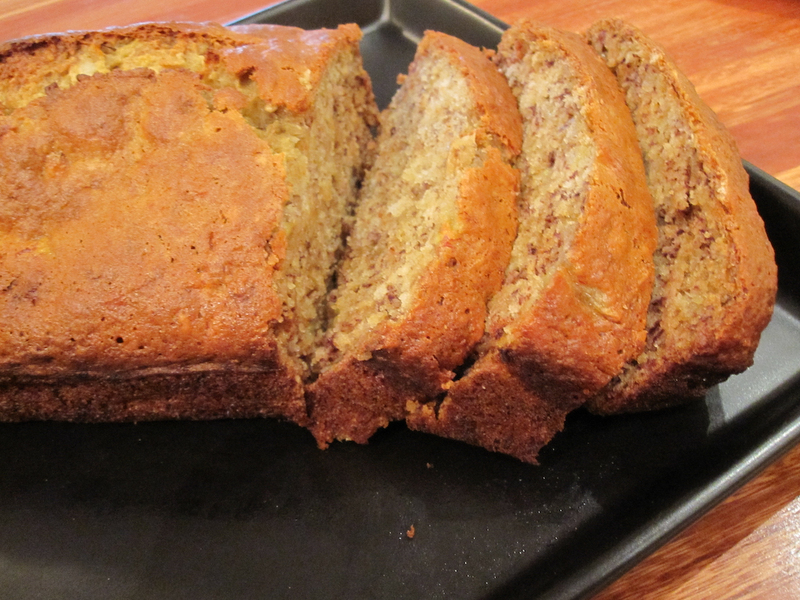 This banana bread recipe is one of them. It’s also healthy enough that I can give some to Joshua. Mash bananas and sugar together with a potato masher. Add in all the rest of the ingredients and mix well. Pour mixture into greased loaf pan. Bake for 45 mins (or less if you have a convection oven). This entry was posted in Cooking and tagged applesauce, banana bread, cooking, healthy, recipe by angelasaito. Bookmark the permalink.